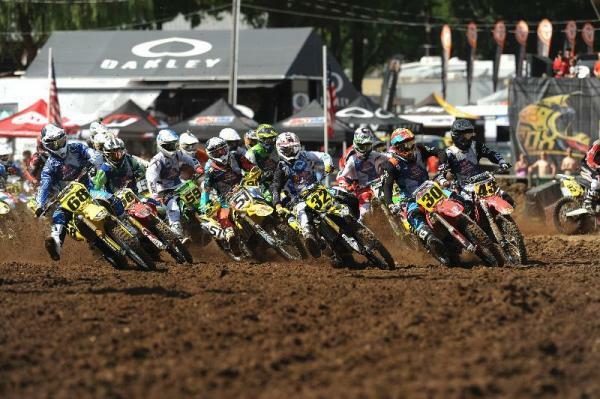 Following a condensed day of racing due to Wednesday's inclement weather, day three resumed on Thursday with sunny skies and warm temperatures at the Loretta Lynn Ranch for the 2013 Red Bull AMA Amateur National Motocross Championship presented by AMSOIL. With the new day came the start of the second set of motos and that's where the championship battles begin to take shape. With 23 classes already through Moto 2 of the three-race format, riders in 12 of those classes remain undefeated in their field of competition. The 250 C class kicked off the day's racing and things were looking good for Moto 1 winner Jake Fuerst as he maintained a third place position on the opening lap. However, Fuerst dropped outside the top 10 and after battling all the way up to sixth place, the #12 ended the race with a DNF. The 250 C Moto 2 win went to Adam Nickerson but a 33rd place finish in Moto 1 will most likely keep Nickerson out of overall contention when it's said and done. Robbie Reynard (67) put a stop to Timmy Ferry's early dominance in Moto 2 of the Vet (35+) class as he capitalized on two crashes by Ferry. Ferry made it back up to second by the end of the race and the two former pro motocross stars will go head-to-head in the final moto to determine the championship crown. 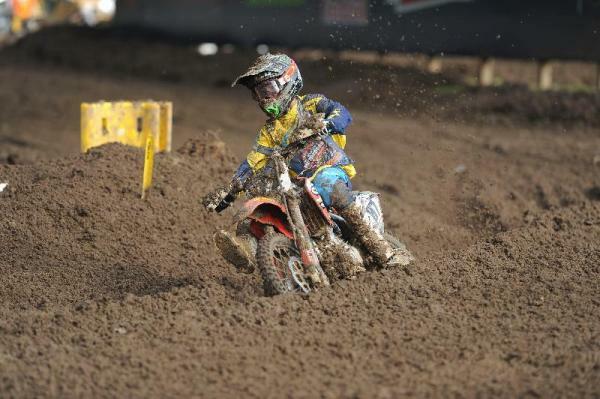 Cameron Cannon (17) maintained consistency in the Mini Sr. (12-14) class where he grabbed the Moto 2 win on Thursday. Cannon sits in good shape heading into the final moto with a moto score of 5-2 but he will have tough competition with Enzo Lopes (8-2), Joey Crown (2-3), Chase Sexton (3-4) and Tanner Stack (4-5). 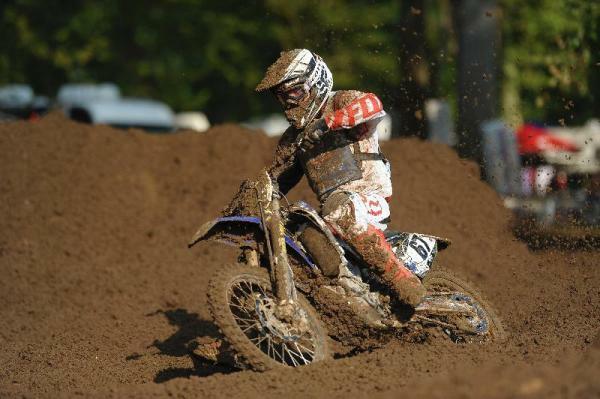 Tough luck for Moto 1 winner Sean Cantrell who finished 36th in the second moto. Mackenzie Tricker is sitting in a favorable position in the Women 14+ Class after sweeping the first two motos of the week. She is joined by young gun Hannah Hodges, who currently holds a 4-2 moto score, as well as heavy hitters like Alexah Pearson (5-3), Kirsten Raemisch (3-5) and Kaitlyn Morrow (2-8). The Schoolboy 2 (13-16) B/C class saw a new winner in the second moto as Benny Bloss made an impressive leap to the front after finishing 16th in Moto 1. After a hard fought battle, Bloss topped Kyler West and Moto 1 winner Ryan Surratt in the end. 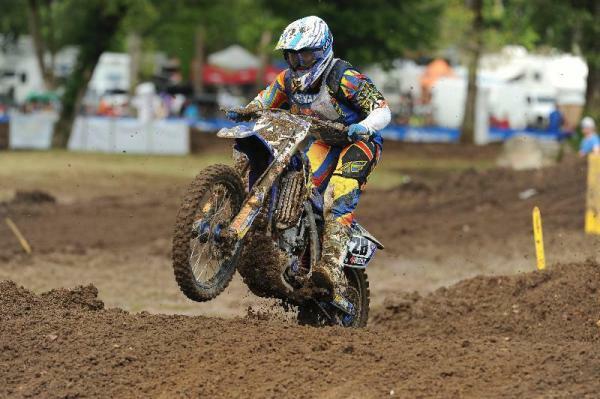 Derek Valenzuela has been a dominant force in the 450 C class this week, sweeping both motos thus far. The 65 classes have brought much excitement to the racetrack and Moto 2 of the (10-11) Limited was no different. 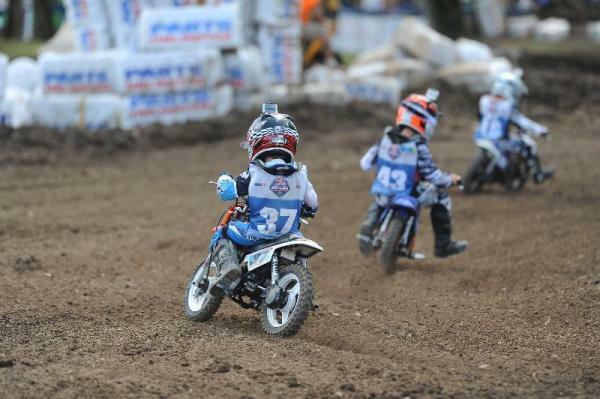 Aiden Tijero (87) topped a fierce class of competition including the quick and consistent Ty Masterpool--who is currently 2-2 in the class--and Moto 1 winner Jace Kessler, who finished fifth in the second moto. Austin Forkner is on a roll in the Super Mini division as he holds two of the first three moto wins between the (12-15) and (13-16) classes. Forkner finished fifth in Moto 1 of (12-15) while his biggest competitor, Mitchell Harrison, took the first win. Harrison followed it up with a second place finish in Moto 2. Undefeated in his first three motos at the Ranch, Matt Bisceglia is quickly validating his soon-to-be graduation to the Lucas Oil Pro Motocross Championship. 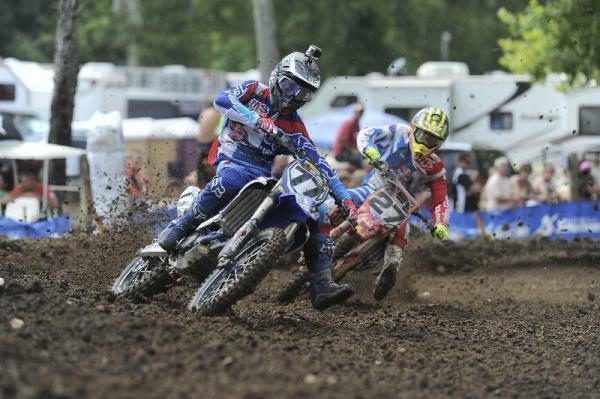 Bisceglia has fended off the fastest amateur riders in the country in both the Open Pro Sport and 250 A classes. 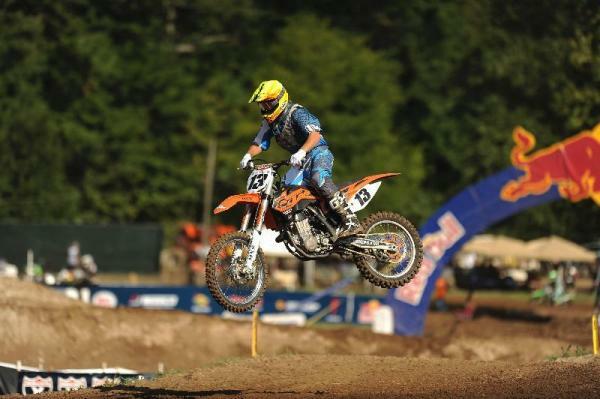 Perhaps Bisceglia's biggest challenger is the #27 of Shane McElrath who also has plans to join the pro ranks immediate following Loretta Lynn's. McElrath has a solid 3-3 moto score in the Pro Sport class with a second place standing in the first moto of 250 A. Paul Coates, RJ Hampshire and Thomas Covington have also proven to be contenders in the elite class. 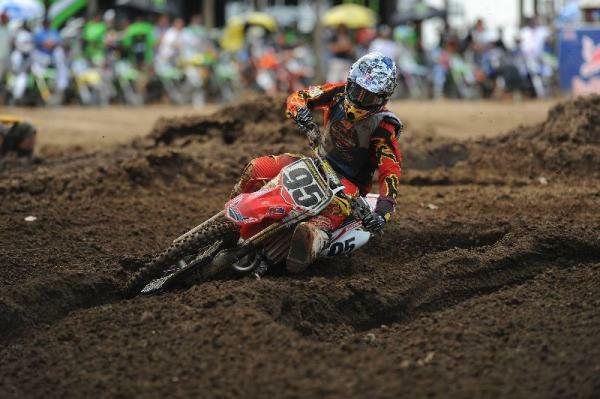 Michael Barnum (30) took today's Collegeboy (16-24) moto win. Two-time world champion Trampas Parker (13) leads a stacked field of Senior (45+) riders with a 1-1 sweep so far this week. John Grewe sits close behind with a pair of consistent 2-2 finishes, while Barry Carsten sits in third with 3-3 finishes. The Master's (50+) class produced great battles, including the excitement in Moto 2 between Kevin Foley (83) and David Hand (42), who sit first and second in the overall after two races. 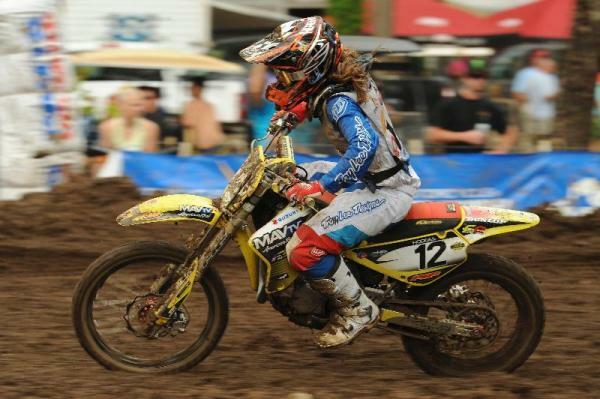 The Girls divisions hit the track on Thursday for their second motos and it was the dominant forces of Hannah Hodges in the (12-16) class and Jazzmyn Canfield (46) in the (9-11) who stood out the most among the double-gated moto. 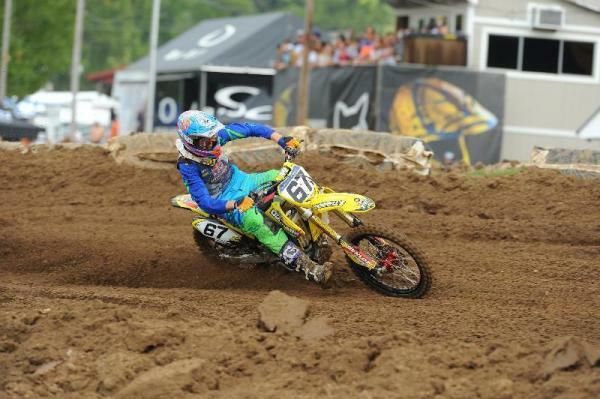 #46 Canfield's win marked her eighth consecutive moto win at Loretta Lynn's in the Girl's class, which includes three-moto sweeps in 2011-12. #41 Noah Gordon took the 51 (4-6) Limited class win in Moto 1 but Haiden Deegan (38) answered back in Moto 2 with his own victory. 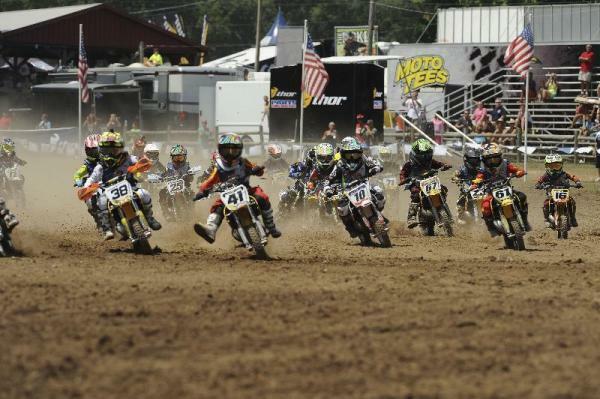 The 51cc classes have provided great racing, finishing up their second set of motos today. 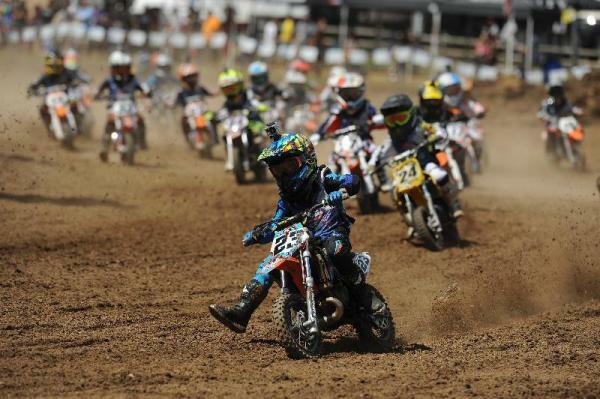 Jett Reynolds has swept both motos of the the (7-8) division, in addition to the 65 (7-9) Limited class. The 51 (4-5) Special Limited class 51 (4-6) Shaft Drive Limited class race together on double starting gates. Daxton Bennick and Kyler Rhom took the wins in those classes. In addition to battling Reynard in 35+, Timmy Ferry maintains the Junior 25+ class lead with a 1-1 sweep thus far. 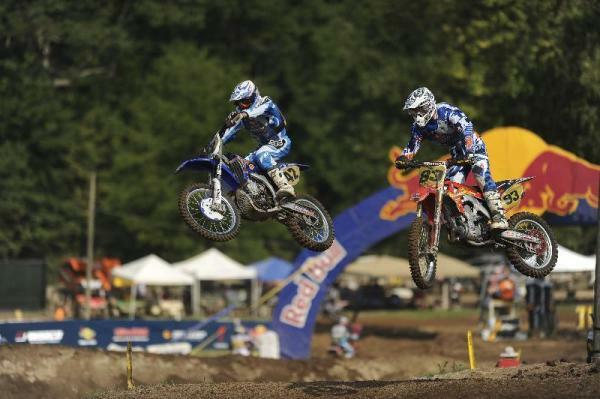 The 2013 Red Bull AMA Amateur National Motocross Championship presented by AMSOIL will continue tomorrow, August 2 - Saturday, Aug. 3 at Loretta Lynn Ranch in Hurricane Mills, Tenn. Tune into RacerTV.com Friday for continued live coverage of the day's racing. Broadcast times and classes can be viewed HERE. To view an archive of Wednesday's race action, visit RacerTV.com. 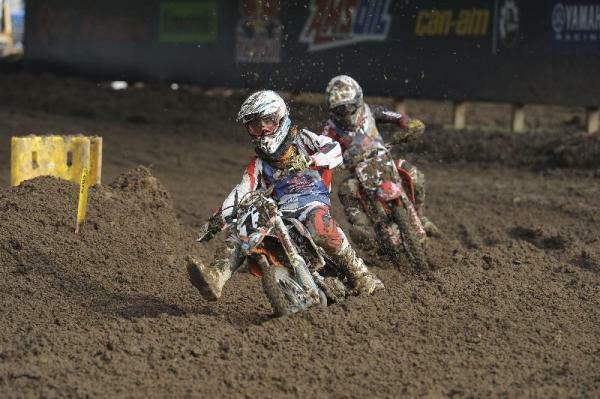 For more information on the event, please visit www.mxsports.com. For exclusive content and additional information follow Loretta Lynn MX on Facebook, Twitter and Instagram. 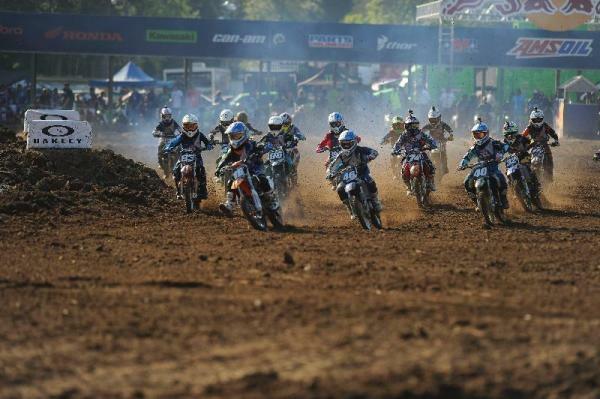 The 2013 Red Bull AMA Amateur National Motocross Championship presented by AMSOIL will continue tomorrow, August 2 - Saturday, Aug. 3 at Loretta Lynn Ranch in Hurricane Mills, Tenn. Tune into RacerTV.com Friday for continued live coverage of the day's racing. Broadcast times and classes can be viewed HERE. To view an archive of Wednesday's race action, visitRacerTV.com.